Midwives and other health care professionals need to have a deep understanding of the various lives childbearing women live in order to support them insightfully and practise in a nuanced manner. 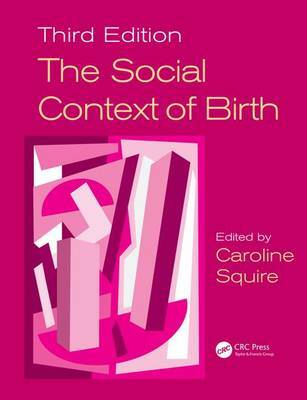 The Social Context of Birth has been revised, updated and enlarged to provide an essential understanding of the different lives women live and in which they birth their children. For the first time, it also contains original primary research on the perspectives of student midwives as they progress through their three year training. This comprehensive guide provides countless valuable insights into the many different lives, experiences and expectations of women in their childbearing years in the twenty-first century, especially vulnerable women. Written by a team of highly experienced health professionals, it also covers contentious areas of maternity care, such as new reproductive technologies and fetal surveillance. A true essential for all healthcare professionals who work with women giving birth, such as midwives, nurses, health visitors and obstetricians, and wish to deepen their knowledge of womenÃ¢Â€Â™s lives.